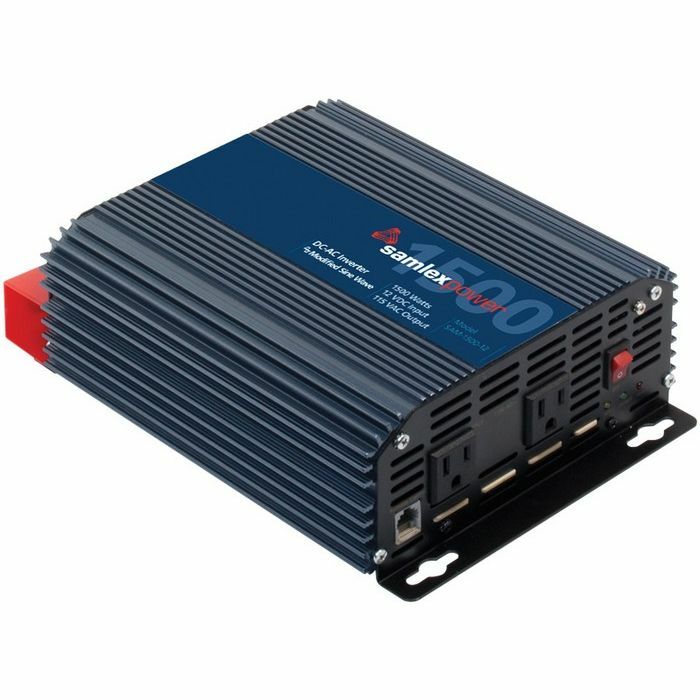 Compact design 1,500 Watts (3,000 surge) high efficiency modified sine wave DC-AC inverter converts 12 VDC to 115 VAC at an output frequency of 60 Hz. Features 2 outlets, load controlled cooling fan, low battery input alarm, universal protection circuit: thermal, battery, overload, short circuit, earth fault & low interference technology. Control remotely with SAM-RC (not included). Actual Dimensions 7.95" x 11.14" x 3.3".